Laurie and I have been Instagram friends for a long time and I finally got to meet her in person at a friend’s wedding. We instantly bonded and I absolutely fell in love with her perspective on feeding her kids healthy foods. Appalled by how much junk food her children had access to when not under her watch, she began creating beautiful—and nutritious— lunch box options. This interview is a must-read for anyone who has or is thinking of having children. 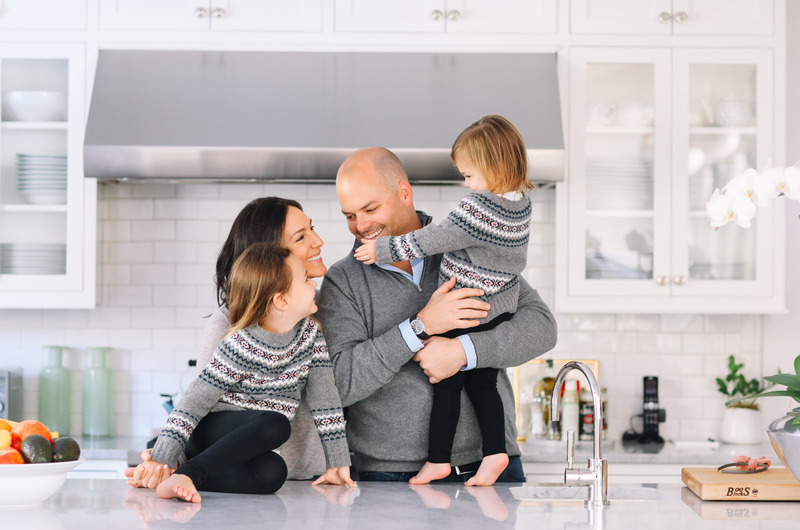 I am a mom to two amazing daughters, a wife to @livcooksathome, a holistic health coach, a nutritional consultant, and a wellness influencer. I love to cook, create recipes, travel, drink good wine, learn new things, and spend time with my family! I started LivLight to help spread the word about all things health & wellness, and to help as many people as possible learn to eat and feel their best. You make some of the best lunch boxes. What are your thoughts on the school cafeteria food options? Sadly, most schools in our country do not offer very many healthy food options. They are starting to improve, but in the meantime, I recommend that people send their own lunch with their children as much as possible. There are many healthy packaged items that you can include, because really, who has the time to make everything from scratch. If you could change one thing about the food in the schools, what would it be? I would like higher quality food and more organic produce, dairy, and meat products. Why is it important for us to improve the quality of school lunches? In my mind, what our children are eating is equally as important as what they are being taught. If we feed our children a wonderful education while feeding them low quality food they will suffer in the long run. Children not only thrive on a healthy diet, but it also teaches them good habits and will improve their health in the future. What is your fave brand of lunch box? 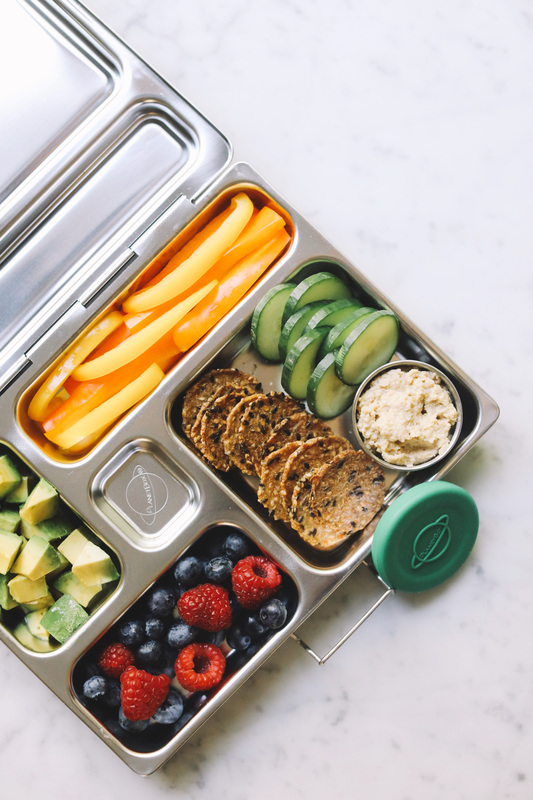 I use the PlanetBox lunch box and my kids and I both love it. 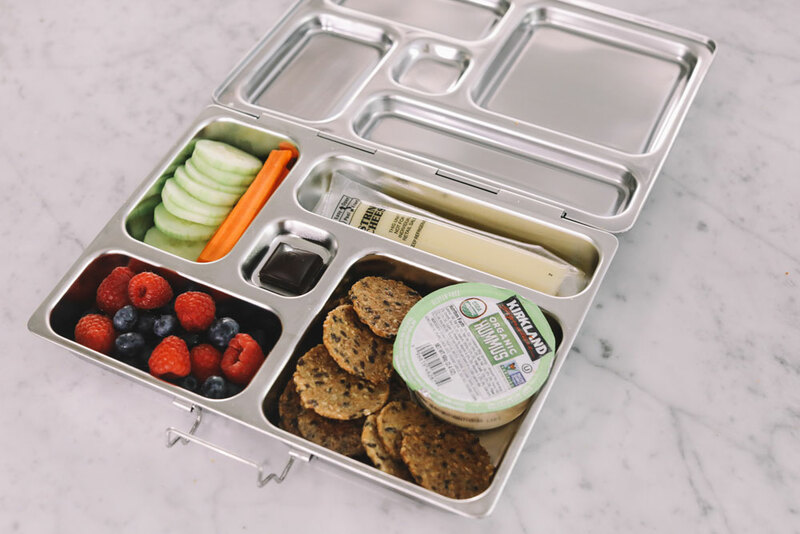 Any advice to moms on how to pack the perfect school lunch? I try to create a balanced lunch with fruit, veggies, protein and starch. I also try to find healthy options that my kids actually like. I’ve learned the hard way that they tend to throw things out if they don’t like them! What do you usually pack for your girls? Give us an example of two lunch ideas. My girls aren’t huge into animal products, so one of our favorites is hummus with rice crackers, veggies (mine like carrots, cucumbers, red peppers), berries, and cheese. They also love a good old PB&J. I use sprouted bread with Nuttzo Peanut Pro and Jam (or Sunbutter if your school doesn’t allow nuts). Do you ever use dinner leftovers to create a lunch box for the next day? Yes, sometimes I will warm up pasta or soup in the morning and send it in a thermos. This is a good one that really keeps things warm. They also like my Turkey Meatloaf Muffins and these are okay served room temp. Do you have any favorite packaged snacks that are safe and nutritious? 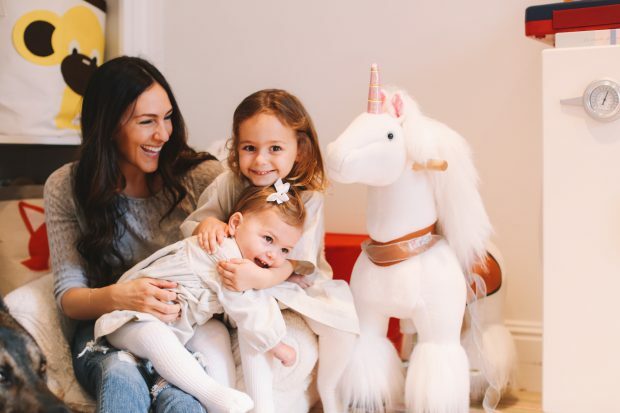 My favorite go-to sweet treats are Emmy’s organic coconut cookies, mini GoMacro bars, or a few squares of dark chocolate (sounds weird, but my girls love it! ).